In our search for healthier food options, we now get to the topic of rice. In this head to head, we have: brown rice vs. wild rice. These two varieties of rice are considered to be healthier options to white rice. White rice, which is the more refined version of brown rice is often seen by health experts as less than ideal because of its ability to push blood sugar up significantly after you eat it. As such, we take a closer look at two healthier options that are available. And check out the difference between wild rice and brown rice. Rice is a staple in diets across the world. If provides nutritional value, as well as a flavor and texture boost to a variety of meals. However, you may be aware that there are many types of rice to choose from when cooking. And each type of rice has different benefits. Among the many varieties available, two of the most popular ones for health are brown rice and wild rice. At this point, you might be wondering which rice is the right one for me? 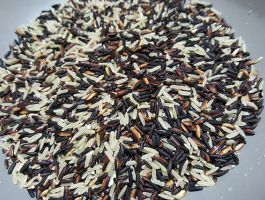 To understand more about brown rice vs. wild rice and which one might be best for your next meal and your dietary goals, here’s our breakdown. First, we should define what each type of rice is in order to better understand the differences. Visually, these types of rice are completely different in appearance. 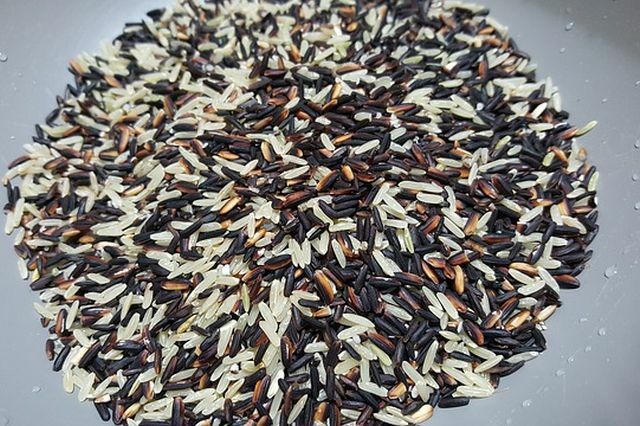 Wild rice has much longer grains and includes more variation in color than brown rice does. Brown rice is a whole grain rice. It naturally comes with an outer hull that is inedible. This outer hull needs to be removed. Brown rice is the base that white rice comes from. However, to make white rice the hull, cereal germ, and bran layers are all removed. 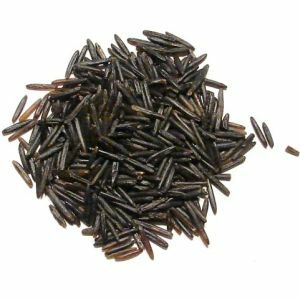 Wild rice meanwhile, is a grain that is extremely popular in North America and China. It originates from four species of grasses that are able to be harvested for their grain. This results in the wild rice that you can eat. In terms of taste, these types of rice are completely different as well. Wild rice has a much richer and stronger flavor than brown rice does. Brown rice tends to blend in. It has a rather mild flavor. This allows it to work well with distinct sauces. It also lets it compliment other foods like meats and vegetables. So while it may have an underwhelming flavor, it works in its favor. As this makes it easy to mix brown rice with different meals. As far as texture goes, the texture of brown rice is chewier than wild rice. Wild rice has a firm texture once you have cooked it. Which rice you use when you cook depends greatly on your cooking goals. Of course, as much as we try to eat healthy, flavor plays an important role in food. After all, if it doesn’t taste good, chances are you won’t be eating if often. Or, if you do, you won’t eat much of it. So make sure to take the flavor and texture into account when you are selecting a rice to compliment your meal. If the taste doesn’t suit you too well, you may either look for an alternative rice. Or, use some seasonings, herbs or spices to make the more flavorful. Both brown and wild rice make an excellent base for meals. But both provide different attributes that can change the flavor and mouth feel of the meal you cook. There are extremely big differences in the nutritional value that each variety of rice can provide in your diet. Brown rice contains approximately 112 calories in each 100 grams. This amounts to about 216 calories for each cup of cooked brown rice. Meanwhile wild rice is a bit slightly less heavy when it comes to the calories. 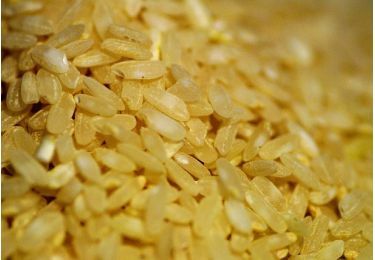 It contains about 101 calories per 100 grams of this rice. And because of its larger grain size, there’s a bit less wild rice that fits into one cup as well. When cooked, each cup serving of wild rice offers 166 calories. Wild rice typically has 4 grams of protein per 100 grams (7 grams per cup) which is significantly more than what brown rice has to offer. Each 100 gram serving of brown rice contains around 2.3 grams of protein (1 cup of brown rice has 4.5 grams of protein). These two varieties of rice are considered healthier because they’re not as refined as white rice and other forms. They also contain more fiber. Both these features make them better choices when it comes to digestion as well as limiting the blood sugar spikes after meals. Each cup of cooked brown rice provides us with 3.5 grams of fiber. Whereas, the same amount of wild rice offers 3 grams. When it comes to vitamins and minerals, they’re pretty much even, with one edging out the other by just a bit. Brown and wild rice are good sources of magnesium. Each cup of brown rice contains a whopping 21% of our daily recommended magnesium intake. Wild rice meanwhile, isn’t too far off at 13%. They both also offer around 5% of our daily RDA of iron. This makes them valuable in staving off anemia. Then there’s the vitamin B6 they provide. Wild rice offers 10% of our daily RDA here, while brown rice gives us a bit more at 15%. They’re both sources of potassium as well. One cup of wild rice yields 166 mg of potassium, which is 4% of our daily recommended intake. Brown rice isn’t far behind with 154 mg per cup served. Cooking brown rice is very similar to white rice. You can either boil it over the stove top or use a rice cooker. We prefer using a rice cooker since all you need to do is measure the amount of rice and water. Then just leave the cooker to do its job. There are differences though between cooking white and brown rice. It has to do with the constitution of brown rice. Because it is less refined, you’ll be using different proportions of liquid to rice. In general, you’ll need more water when cooking brown rice. And it takes a bit more time to cook as well. Wild rice is similar as well. But from experience, this kind of rice is often cooked in a pan or pot over a stove. It’s probably because it’s made is smaller batches compared to white or brown rice. Though you can just as easily use a rice cooker for it. Wild rice needs a bit more water compared to brown rice when cooking. It also takes longer than the brown variety to cook. Rice can add essential nutrients and a filling component to your diet. You will likely want to consult with a dietitian to help determine which type of rice would be best for your dietary goals. Both options are packed with the essential dietary fiber we all need to ensure we stay healthy and keep our cholesterol levels in a normal range. Selecting the right type of rice for you can be a great way to change up your regular cooking routine while gaining some excellent health benefits. Food & Nutrition, General Health, Health Issues, Recipes, Weight Loss. permalink.